FF Plus asks IEC to ban BLF in coming elections - SABC News - Breaking news, special reports, world, business, sport coverage of all South African current events. Africa's news leader. FF Plus leader Pieter Groenewald says it was a mistake for the Independent Electoral Commission to allow the BLF to register. 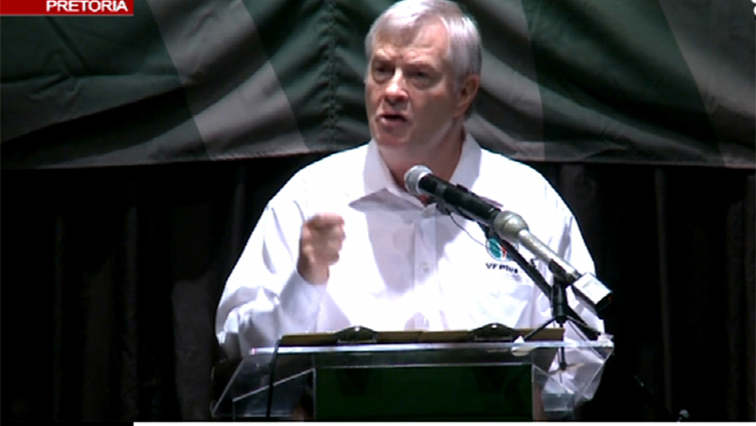 The Freedom Front Plus (FF Plus) says it has launched an urgent application with the Electoral Court to set aside the registration of Black First Land First (BLF) to participate in the forthcoming elections. The party says this has been prompted by a clause in the BLF constitution that only black people may join it. “The Electoral commission made a mistake by allowing to register the BLF in terms of legislation. Therefore, we submitted an application this morning with the Electoral Court in Bloemfontein, where we requested and asked the court to nullify the registration of the BLF as a political party and to ensure that they do not participate in the coming election,” says Groenewald.